TekWiFi is free, portable, light and simple, letting you just detect and examine WiFi connections. Of course you can run it directly from a USB device attached to a desktop or mobile PC, wherever you are. When you run it you will see any connection that is functioning in your area, including all you need to know, from the quality of the signal to name, authentication type, etc. You can use TekWiFi to find out the IP address of a network and all relevant technical details, such as DNS, default gateway, etc. A drawback is that the program won’t let you save these details, but you can take a screenshot and have it easily available as an image, or try using a program like Copy Text to see if it will manage to make it selectable, ready to be copied. 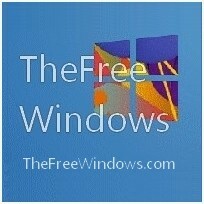 The program won’t make any changes to the Windows OS, it is self sufficient. If you use WiFi connections often, TekWiFi is a tool you may like to have in your software library.